Leffe Blonde was my go-to Belgian for several years. 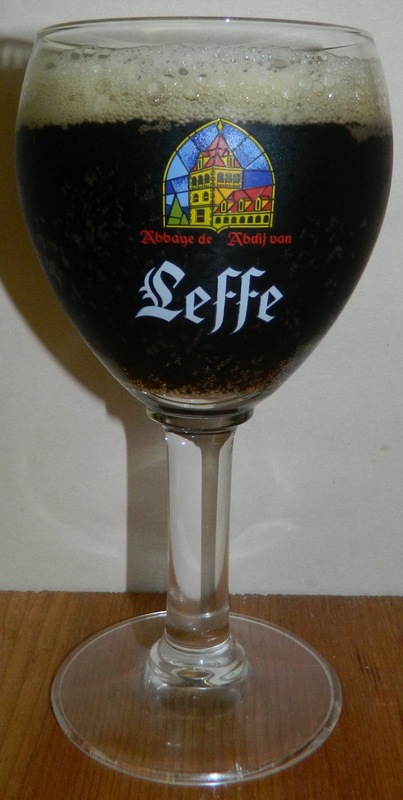 Just this year Leffe Brune became available in our area. Since then I always seem to have some in the house. So I figured it was time to give this a formal review. The beer pours a clear dark brown with deep copper hues and an off white to tan head. The nose is really nice with dark roasted malt aromas with notes of toffee and chocolate. What a nice first sip; fairly rich but smooth and refreshing. The taste starts out with dark roasted malt sweetness up front. That is followed by an almost cleansing, certainly refreshing effervescence over the tongue in the middle of the sip. The back-end is fairly easy drinking with an almost effortless swallow. There is an additional carbonation release during the swallow that masks some of the flavors. The finish is where this beer pulls it all together with rich dark roasted malt flavors with notes of toffee and chocolate. There is very little final aftertaste, just hint of dark roasted malts. As dark and rich as this beer is it still maintains a very pleasant medium to light body mouthfeel and a very refreshing quality. I assume most of this is due to the carbonation. There is also an interesting earthiness underlining this experience. I can only assume that is from the Belgian yeast. As the beer warms the malt robustness builds. The subtle toffee notes are now becoming more pronounced. Also as the carbonation releases and diminishes in the beer it is becoming smoother with an almost creamy mouthfeel. What a nice little Brune. This is falling short of an A but this is a solid B+ for sure. 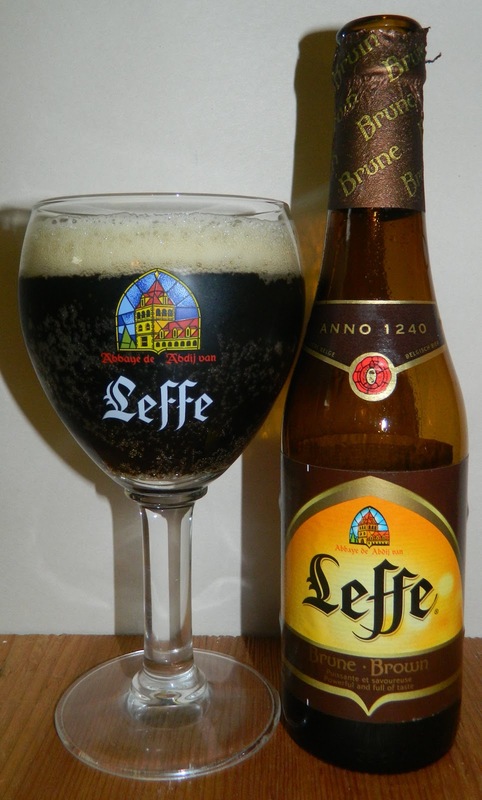 B+ | Leffe Brune is a very nice Belgian Dark Ale with hearty dark roasted malt flavors but maintaining a medium body mouthfeel and refreshing quality throughout with nice finishing notes of toffee and chocolate.